What makes a successful restaurant? With the arrival of the new year, This is the question asked by the entrepreneurs who they have seen the development of the sector. Sales have grown steadily, there is more traffic and diners tend to spend more. Hoping that the numbers continue to rise, for many restoration is emerging as the ideal sector to bet on 2019. Nevertheless, according to the same Ferran Adrià, half the restaurants close before reaching 5 years "And twenty percent only last two '. It is true that in recent years the number of establishments has been increasing, but many of them have fallen by the wayside. With this background, It is no longer enough to have good quality food, optimal service or a separate proposal: who they want to survive, They must focus on innovation. He Yearbook of organized restoration in Spain Secunda this idea: "Changes in consumer habits, new ways of communicating with the same and the emergence of new business models, They are transforming the catering sector through, fundamentally, from digitization”. In fact, This KPMG report says that in terms of planned investment areas, technological tools will be the preferred destination of the restorers. For those who want to jump to digitization, opt for an intelligent POS is a good starting point. These systems allow not only modernize the traditional cash register, but also incorporate new features that facilitate the analysis and management of business. Irene Camacho, Marketing Manager de la startup from TPV Tiller Systems, points 6 reasons why any restaurant needs a cash register connected as Tiller. Flexibility is key when serving customers, so you must ensure they choose how they want to pay. Having an intelligent POS will allow accept all payment types, split the bill, invite articles and more. Con Tiller, for example, you can separate account equally, dish or even do it manually enter the amount specified by each customer in a few clicks. A restaurant is not just any business, and therefore it should not have a generic management system. If you opt for a POS for hospitality you can enjoy custom features such as plan tables, reserve management and multiple cards directly from your cash register. According to Camacho, in the case of Tiller "You can replicate your restaurant tables in your TPV, make changes automatic menu, set special prices at certain times ... basically make yours TPV”. The advent of digitization It has resulted in the restaurants depend increasingly on more services: booking platforms, delivery, ... management is not uncommon to find a variety of displays at the counter of any establishment. Having an open system like Tiller, the possibility of integrate these solutions to control your business from the same device. In accordance with Dimitri Farber, Company founder, "In an increasingly complex ecosystem, Tiller seeks to be the ally of the merchant digital centralizing all the tools you need in one place ". TPV has its own AppMarket, a digital market that covers different integrations available, from management tools such as Beesniss Y Hotel Gest, to reserve management as CoverManager O ElTenedor. The startup even develop their own solutions, as in the case of Tiller Delivery, restaurateurs to offer the ability to manage all aspects of the business from the cash register. as restorative, If there is something you should avoid at all costs is becoming obsolete. The sector is transformed at an accelerated pace and be prepared to adapt to new trends. For Tiller, Camacho states that have a team of developers constantly working on updates to enhance the system: "The latest release has brought new features like orders renewed interface, Automatic recognition of menus, Employee access controls and more". This also means that any errors can be easily corrected and that the feedback customers translates into improvements for implementation. Knowledge is power and the cash register is the perfect central tool for collecting it. In addition to functioning as a selling point, It is necessary to choose a TPV to serve as a management system. Tiller, for example, features a back office that allows you to control all your metrics at a glance. Do some of the things you can do? Monitor sales, compare different periods, identifying your best and worst products, review and send your accounting reports and manage your stock in real time. 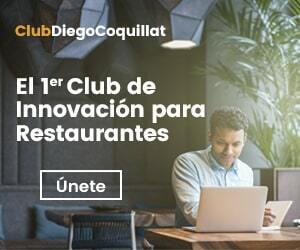 A key point, definitely, is the ability to control remotely your restaurant: "The back office is a website Tiller, so you do not have to be in the restaurant to know what is happening ", Camacho says. "This is one of the favorite features our customers, the ability to analyze business performance remotely anytime, anywhere from your mobile or computer ". Touchscreens are so intuitive that anyone can learn to manage. Thanks to the popularity of smartphones, all are accustomed to sensitive screens, so they learn to navigate the system in an instant, getting rid of hours of training for new employees. Nevertheless, Tiller has a customer service available for any questions. In addition to a initial training, attends support team by phone and through a chat directly at the POS, ideal for employees to answer any questions during service. While opting for a traditional cash register can help to reduce costs, the acquisition of a point of sale It is an essential step towards digitization should not be taken lightly. With a scenario like this the conclusion is simple: Innovation is risky, but stop doing what is even more.